If you are contemplating switching careers, there is probably a good chance you are in need of change. So, why not switch careers and become a realtor? 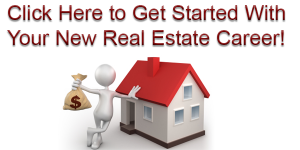 A wide variety of skills in other job fields can be easily applied to the real estate industry. Who knows, perhaps you already have the ideal skill set you need to jumpstart your career as a successful real estate agent. If you are uncertain about the future of your career, you have questions, or hope to validate your aspirations of becoming a realtor, then these ten reasons to switch careers will help you on your way to reaching a confident decision. As a realtor, you have all kinds of clients with all kinds of personalities. Whether you are highly outgoing and sociable or more calm and relaxed in your social interactions, there is a niche in the real estate industry for you. People tend to want to work with realtors who understand and can relate to their needs. So play to your strengths by finding the clients that you can find a connection with. That connection can lead to a positive and trusting relationship, which is a foundational element for success in becoming a realtor. The flexibility of a real estate agent makes the job an attractive option for workers who want to change their current schedule or routine. For family caretakers, switching careers for a more flexible schedule is an especially important consideration. In many cases, realtors can set their own hours. The freedom of a flexible schedule can transform your job to meet your needs. The simplicity of real estate attracts professionals who are tired of living with a complicated work life. Learning the essential requirements for understanding real estate is fairly easy. Knowing property values, appreciation, market value, and investing are concepts that can be easily acquired through online training courses. If you cannot stand the thought of sitting at a desk, or in a cubicle, then switch careers to become a realtor because your workplace is not going to be the same boring walls from day-to-day. Each new property becomes a whole new adventure. Meeting clients and touring homes keeps you moving, which keeps your surroundings more interesting and less mundane. Trends in decor are always evolving. As a realtor, you take part in home staging for open houses. The opportunity to explore new trends or classic decoration styles, can get you out of that monotonous job routine and into a more exciting career. One of the many perks of working as a realtor is meeting interesting people on the job. The business of helping people buy and sell homes lends itself to developing close personal relationships with a variety of interesting people. You will learn about people from all sorts of different backgrounds, career fields, and cultures. Of course, there will be some clients that you find more interesting than others and some more pleasant to work with than others. Overall, the social aspect of real estate provides the opportunity to get out more and get to know more people. Your role as a realtor is to assist clients as they search for their dream home. The place where a person, couple, or family choose to live is an important decision. From the functionality of the home, the location of the property, to the surrounding community, people’s livelihoods are largely impacted by where they live. You are helping your clients on a crucial part of their life journey. The process of buying and selling a home involves emotional highs and lows for the clients. As your clients’ realtor, you share in these emotional highs and lows alongside your client. The next thing you know, you are making connections with a number of people in the community, thus becoming a part of the community as well. How much time and effort you put into growing your business is really up to you. Set your own goals and decide what is reasonable for your lifestyle. The freedom of growing your own business can be a stress relief, or might be more stressful depending on how you feel about the size of your business. There is no set cap on what you can earn as a realtor. Usually, realtors who work for themselves, have unlimited potential earnings. Even realtors working for an organization do not have a cap on earnings. Each and every day is a new day in the real estate business. Clients have different personalities, homes are different, styles are different, price ranges, locations, and interests are different. There are so many possibilities to experience something different. After All, isn’t different what you are looking for? To become a realtor, you are required to take the state licensing exam. A pre-licensing course will prepare you for the exam. The time it takes to become licensed depends on your state requirements. Generally, real estate education and licensing is a short process; much faster than any traditional degree. If you decide to switch careers, the benefits to working in the real estate industry are long lasting and well worth the short term training upfront. Real Estate Reality TV-Fiction or Reality? What is All The Fuss About White Boxing? We are an American-owned and operated company with over 40 years of successful training of individuals. Our focus is bringing you online training courses that prepare you for active employment and/or enhance your current skill set in your current position. What is a Certifed Enviromental Specialist?